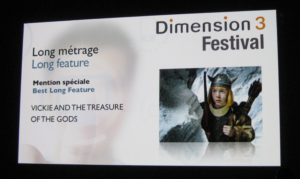 Stereotec was awarded for “Best 3D Feature” at Dimension 3 in Paris last week. 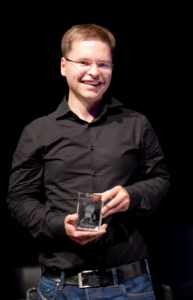 Stereographer Florian Maier received the Dimmy Award for “Wickie and the Treasure of the Gods”, Germanys first 3D feature film. The beloved and sucessful 3D movie was shot on ARRI Alexa with two Mid Size Rigs from Stereotec and with the Stereotec 3D Crew.